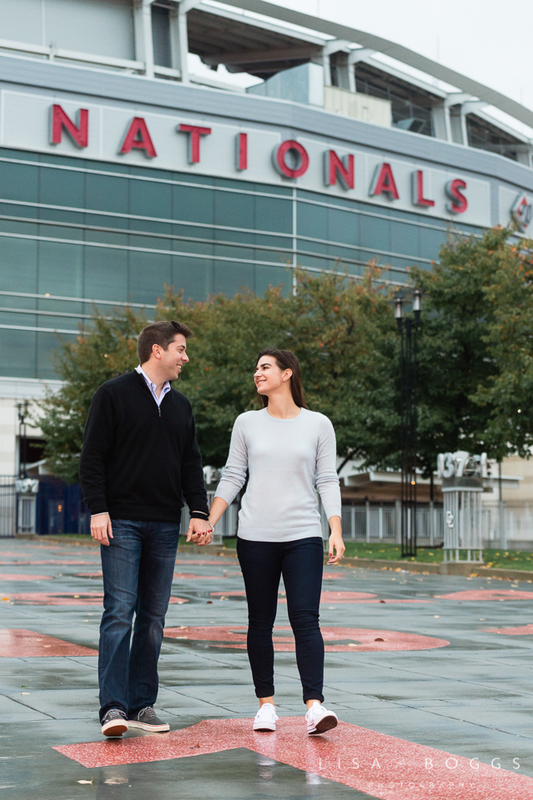 You may remember Natalie and Eddie from part one of their adorable engagement session at the Kennedy Center. Well, this dynamic duo is back for part two...and they really hit it out of the park this time! The Washington Nationals Park, in fact. Yippee! 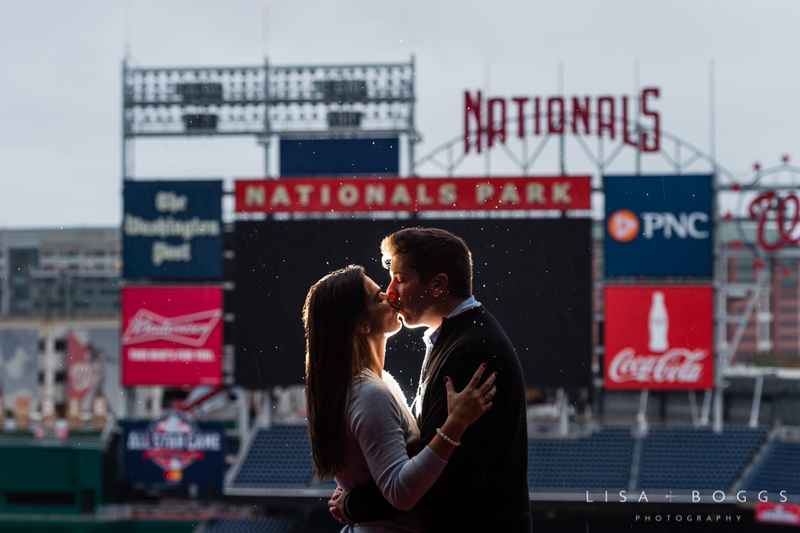 Natalie and Eddie met while both working for the Washington Nationals, so it made sense they would want to incorporate part of their engagement photos with Nats Park. The day we chose to photograph turned out to be a challenge, as it was raining pretty steadily for most of the shoot! 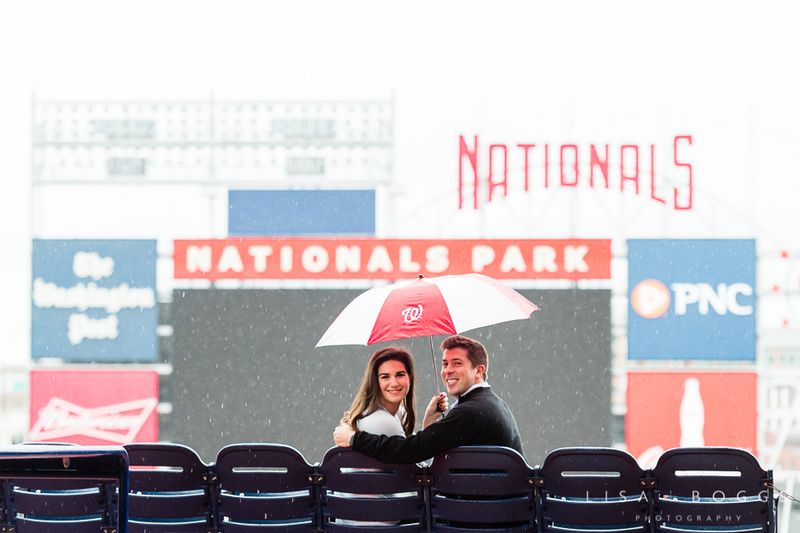 It didn't matter though, as we just incorporated some Washington Nationals' umbrellas and we were good to go! I have lots of favorites from this group, but I still think Natalie dancing with the umbrellas is one of my favorites. I just love how carefree the both of them were in the rain, when we could have easily called the whole thing off! I hope you enjoy these photos as much as I do.